-Normal, Highline, Topline, EXC Topline and EXC Longline cabins. 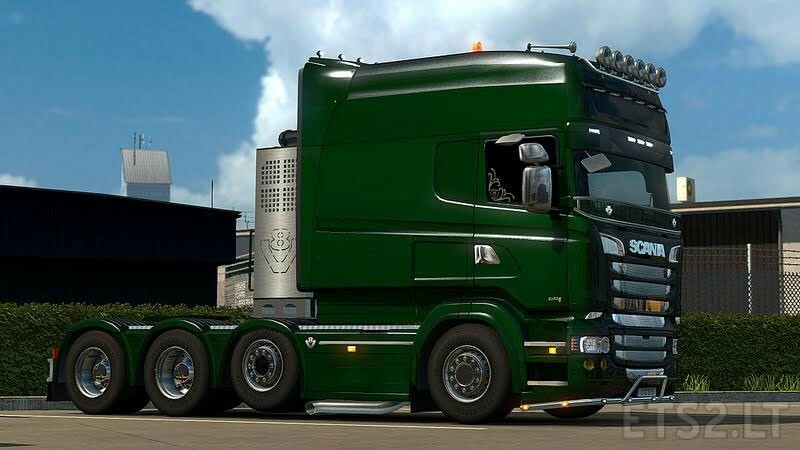 -4×2, 6×2, 6×2/4, 6×2*4, 6×4, 8×2/*6, 8×4/4, 8×4*4, 10×4/6, 10×4*6 and 10×6/4 chassis for all cabins. -Scania R1 and R2 interiors. 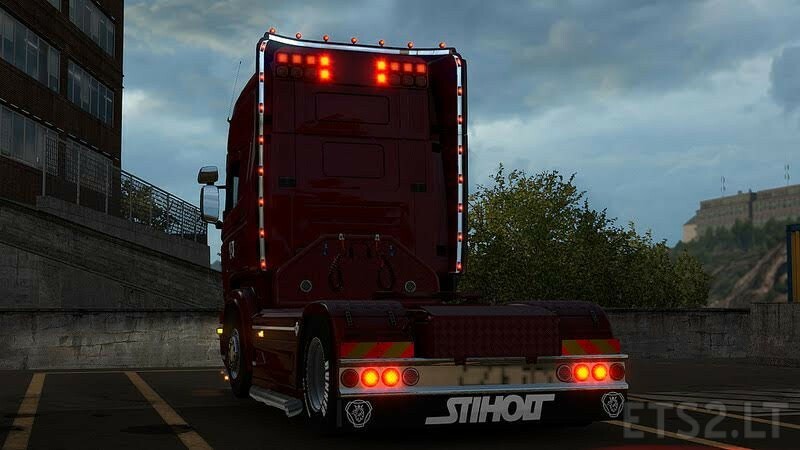 -Euro 3, Euro 4, Euro 5 and Euro 6 engines. -8, 8+1, 12 and 12+2 speed gearboxes with or without retarder. -Wide range of R1, R2 and Streamline parts. -Lot of custom and tuning parts. You can share this on other sites but KEEP ORIGINAL DOWNLOAD LINK AND CREDITS! NO NOT REUPLOAD TO OTHER FILE SHARING SITES! You can freely edit mod for personal use. Publishing edited mod without my (RJL/Fordsonmies) permission is forbidden! Thank you, RjL for the newest Update. I like it and we use it since a long Time. Thanks for the update. Best truck in the game! he works in 23 version ??? Can you please add free settings on the driver seat? Now it is way to close and not realistic. It need to be further back. Just a quick question for mod authors… Could it be possible to move the route advisor (when using 5 series interiors) a bit since it ‘s only partially visible (and pretty large at that)…? I have a fixed camera view while driving and…well, you get the picture… ? It would all be ok if I was using that ”eye track” thingy, but like many out there, I’m not…. Please show me where it says it’s for RJL scania !! No where !! 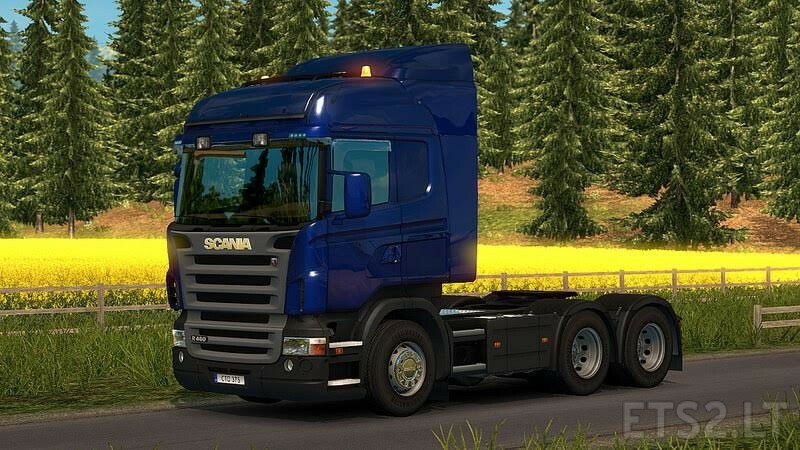 I’m using scania r and streamline modification 1.3 DLC 3.0 but with this version is not compatible with scania r and streamline modification 1.3 DLC 3.0. Can you fix it for the future versions? Nevertheless you done an awesome job so thanks a lot. When comes the New update for the Version 1.25? ?